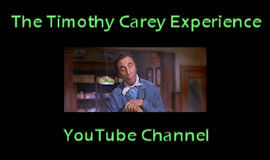 It’s way past time that we took another look at one of Timothy’s most celebrated roles, that of slow-talking, droopy-eyed Pvt. 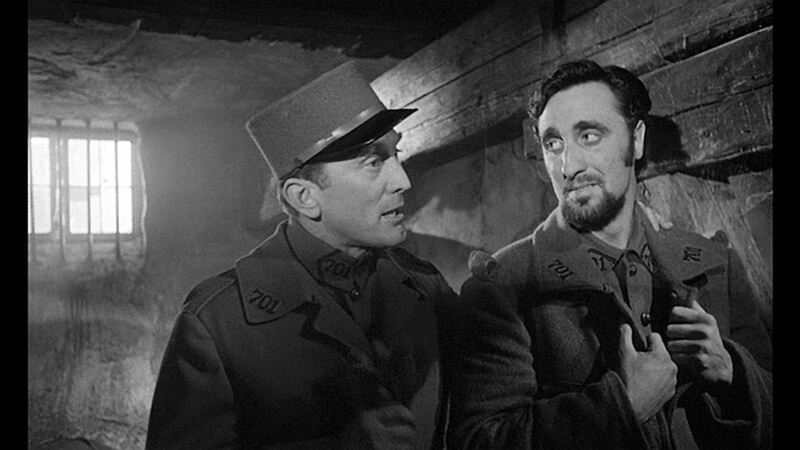 Ferol in Stanley Kubrick‘s Paths of Glory (1957). Here Col. Dax (Kirk Douglas) is encouraging Ferol and his fellow unjustly accused comrades-in-arms (Ralph Meeker and Joseph Turkel) not to “look like [they’re] dropping [their] eyes in a hangdog manner” during the court-martial. Apparently Tim had to stand in a hole in the ground during this scene, so that his 6’4″ self would not tower over Douglas at 5’9″. I wonder if Douglas remembered Tim’s shenanigans on the Ace in the Hole (1951) set? This entry was posted in Film and tagged ace in the hole, joseph turkel, kirk douglas, paths of glory, ralph meeker, stanley kubrick, timothy carey. Bookmark the permalink.